Donnie Cardenas was recovering from the flu at the Palomar Medical Center in Escondido, Calif., last week. The San Diego County resident said he was battling a heavy cough for days before a spike his temperature sent him into the emergency room. The most optimistic assumption among government experts is that the season peaked a few weeks ago, marking the apex of what was already an early and severe outbreak. But such an outlook requires observers to ignore that outpatient doctor visits in the first week of 2018 have continued to climb, albeit more slowly, yielding the most flu cases ever for this time of the year. That may already be happening. 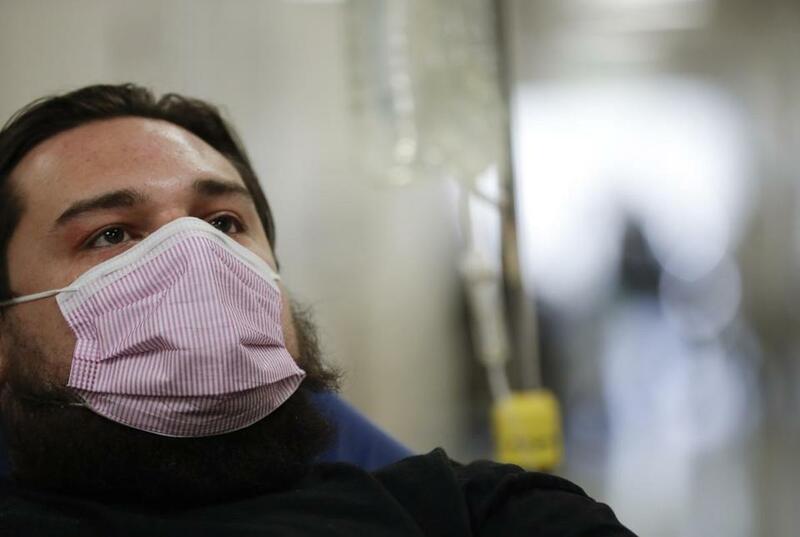 The CDC is starting to see infections caused by the H1N1 strain of the virus in states grappling with high levels of the H3N2 strain, the predominant version this season. In addition, Jernigan said, yet another type of flu, caused by the influenza B viruses, is still expected to show up later in the season. Recent advances in manufacturing have yielded two immunizations that aren’t made in eggs: Sanofi’s Flublok and CSL Ltd.’s Flucelvax. Flublok is a recombinant vaccine, which includes only the protein expressed on the surface of the influenza virus, while Flucelvax is grown in mammalian cells. Since neither uses eggs in the manufacturing process, it’s possible that the vaccines that result may look more like what’s actually circulating, Jernigan said. ‘‘You didn’t have this all-at-once phenomena that we’re getting now, where hospitals are having lots of cases all at once all across the US,’’ he said. Jernigan was forthright about the agency’s inability to accurately predict the intensity of the influenza season.